You of course remember the Dutch Axe commercial in which super hot angels fall from the sky to hook up with Axe wearing men, right? Well now there's a follow on to that. It seems on angel has been left behind. One very, very hot and very, very frustrated angel. Yes. Left behind. Left writhing in a state of perpetual, hyper sexualized ecstasy. Pent up with explosive desire because she hasn't found her match. A match who can offer her much needed release from all her unrealized desire. Desire so powerful it causes her to moan with wanton abandon from the clouds above. Desire which brings her to the edge of nirvana but refuses to deliver. Desire which, if not given the chance to release itself in a flood of orgasmic delight could very well cause the world to end as we know it. 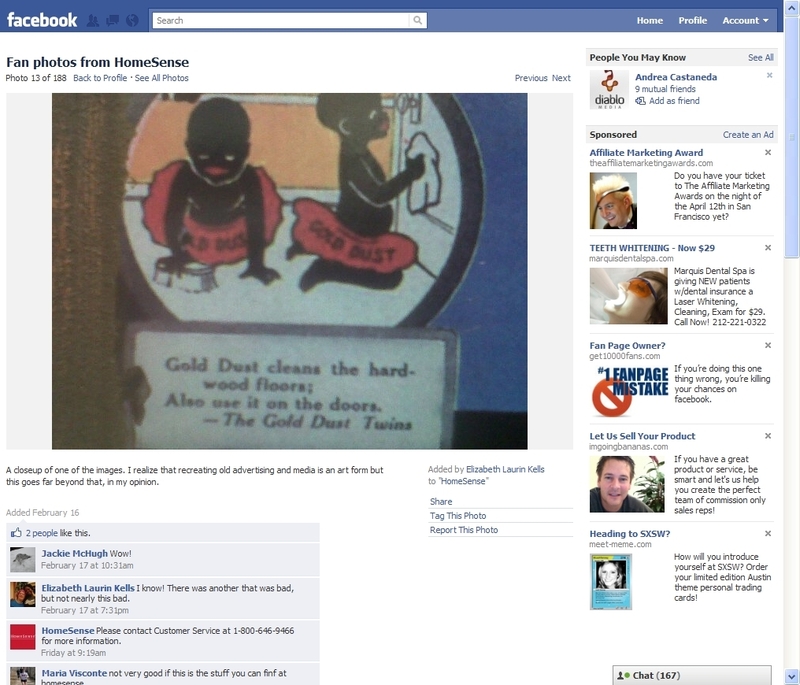 When Canadian home apparel retailer HomeSense decided to sell posters depicting images of old Gold Dust ads in which two black children are seen cleaning, a fan posted pictures of them on the Homesense Facebook page. Along with the image, the fan wrote, "I realize that recreating old advertising and media is an art form but this goes far beyond that, in my opinion." Quite humorously...and idiotically, HomeSense responded with the comment, "Please contact Customer Service at 1-800-646-9466 for more information." Quite predictably, commenters lambasted the brand for its complete mis-understanding of social media communication. Commenter Elizabeth Laurin Kells wrote, "If you are going to use this site to represent your company you need to do something about issues and not just pass out a standard customer service number." We all have one of those stories. You know, the one where a simple miscommunication turns into something strange, embarrassing or hilarious. 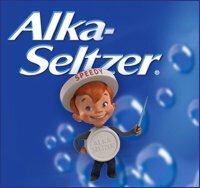 Enter Alka-Seltzer, the familiar plop, plop/fizz, fizz brand that wants us to know that while it's all well and good to tell hilarious stories, those stories can lead to a certain degree of heartburn, upset stomach or headache. Acknowledging both the joy is telling and hearing about these stories as well as the reactions they can cause, the brand, today, announced the launch of its Said/Heard Mishaps Contest on Facebook. The contest gives entrants the opportunity to share their miscommunication experiences for a chance to win big. 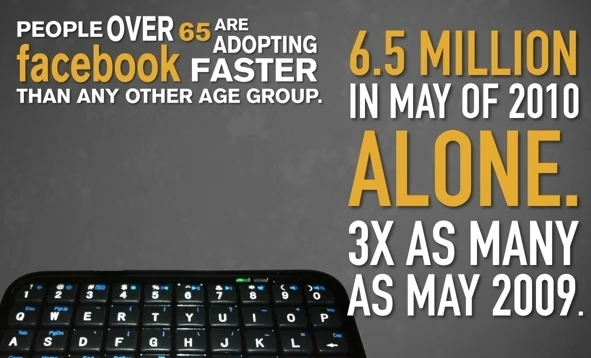 People over 65 are adopting Facebook faster than any other age group. That's the message in this video from the AARP. Additional statistics include the fact 6.5 million of those 65+ joined in May 2010 alone. Less surprising is the fact the fastest growing age group on Twitter is 35-49 year olds. Add to this the fastest growing group on Match.com is over 50. Overall, 47 percent of 50-64 year olds are using social media; an 88 percent growth from 2009. The takeaway? It's the same takeaway no one in this youth-obsessed advertising business has ever listened to. There's a lot of "old people" out there and they have a lot of money to spend. The trouble is, there's a mentality in the advertising business that it's just "not cool" to create advertising for "old people" because, at least according to those in the business, "old people" aren't cool. In addition to the fact "cool" is largely irrelevant, this line of thinking is ridiculous and illogical but as long as the hallways of ad agencies are primarily staffed with those aged 25-34, it's quite likely nothing is ever going to change. SocialFresh, an organization that hosts social media conferences and other events, has launched InvestInSocial, a directory of social media companies and resources. The genesis of the site was the proliferation of comments thanking SocialFresh Founder Jason Keath for mentioning companies in his blog posts. The site, currently in public beta, will list agencies, vendors and consultants that offer various social media services. Currently, rankings are based upon the completeness of a company's profile. During the private beta period which began three weeks ago, 72 companies have listed themselves including Edelman Digital, Porter Novelli, 360i, Cake, Klout, Dachis Group, C.C. Chapman and Convince & Convert. 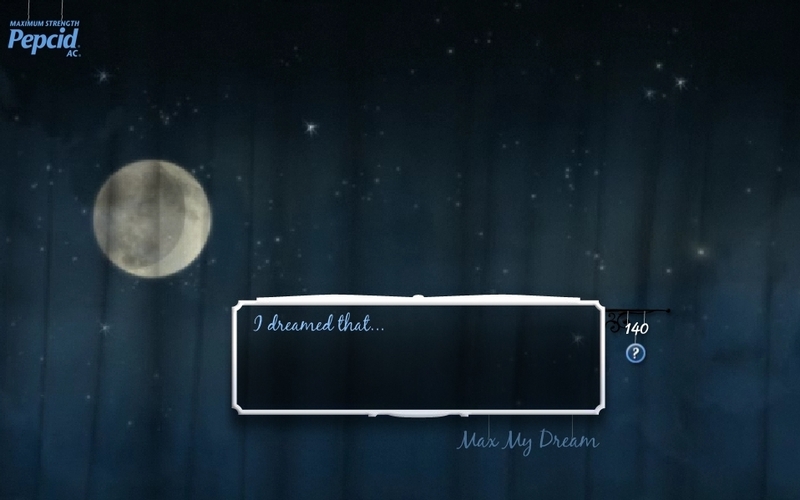 For Johnson& Johnson's Pepcid AC, Barbarian Group, along with JWT New York, has launched Max My Dream, a site which transforms a visitor's dreams into an animated experience that can be shared. To do so, the agency built a custom language processor capable of recognizing more than 16 thousand keywords and how they relate to one another. Much like the agency's famed Subvervient Chicken it created for Burger King, a visitor simply responds to the phrase, "I dreamed that...," and waits for the dream to be transformed into an animation. Some interpretations are better than others. Footwear brand Sorel is all over Park City this week for Sundance with a program that lets people go on a virtual scavenger hunt through augmented reality, QR codes and Facebook to win some boots, hats and other items from Sorel's Fall 2010 collection. Winners will also gain access to VIP-only areas in Park City during the festival. In a partnership with GoldRun, Sorel is using an augmented reality mobile application to host the virtual scavenger hunt, during the first six days of the festival. Ten virtual Sorel bears will be placed in high traffic areas around Park City. The GoldRun app allows people to track down, interact with and collect the virtual Sorel bears. People who pose with the Sorel bear can email a picture via the app for a chance to win Sorel boots, access to VIP-only events, including Sorel Happy Hours, and other prizes. 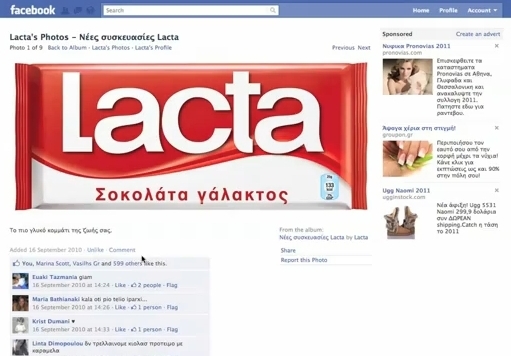 We love Lacta chocolate. Well, their advertising at least. Sadly, we've never tasted the stuff but but they do know how to tell a story. With long form advertising including the IAB MIXX Award winning Love at First and Love in Action, the brand celebrates love and has caused those in Greece to identify the stuff with true love. - Katie Holmes is the new face of Ann Taylor. - Katy Perry is heading to Palo Alto to visit Facebook. Who knows why and who really cares. But if you do, tune in to Facebook Live January 19 at 2:30PM PST to see what it's all about. - Need interns? Well, that's what Twitter is for according to Campbell Mithun. - The backstory on why Carmax bought two spots in the Super Bowl. - An ARG. For a feature film. Coming out in early 2011. Check it out. If you care. 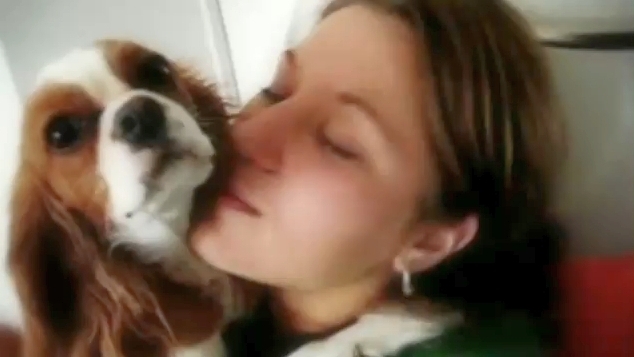 - GoDaddy plans to unveil a new GoDaddy girl in one of their Super Bowl commercials. CEO Bob Parsons claims it will be a big surprise to all. We wait with baited breath.